The first time I had an oil dip was at a fancy culinary restaurant. After 5 courses with tiny dishes, I was full and slightly drunk. I spend the whole night dipping my bread in delicious olive oil and sea salt. The highlight of the evening! 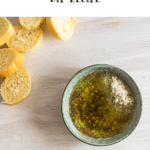 Moments passed and I started experimenting making my olive oil dip, which resulted in this delicious parmesan & herb oil dip recipe. The first time I made it at home was during a special dinner I made for Fabian for no apparent reason. 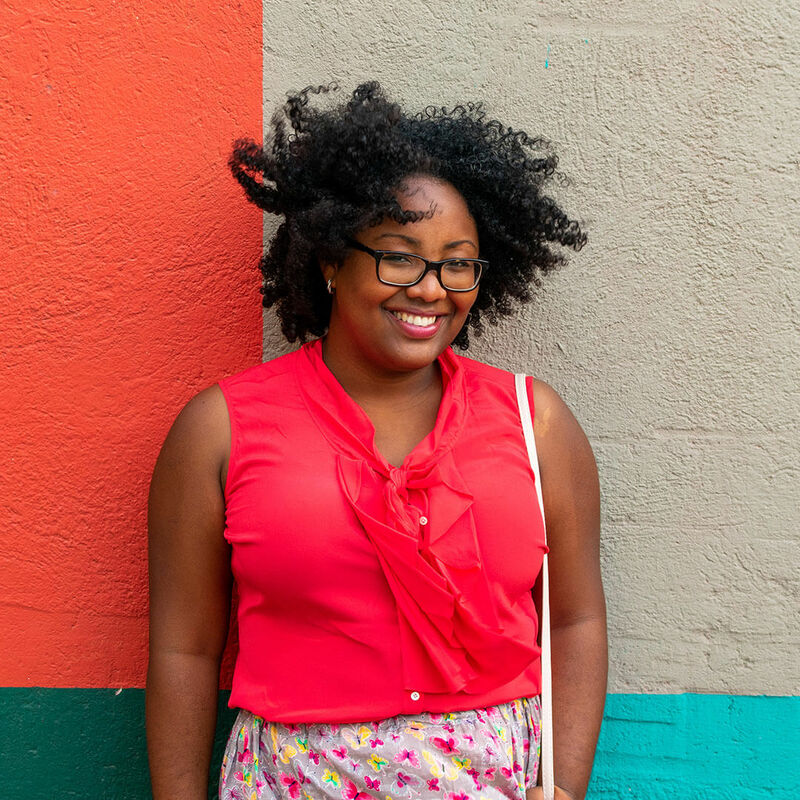 We weren’t celebrating anything, but I wanted to do something different, something special. I made a delicious pasta and paired it with this parmesan & herb oil dip. 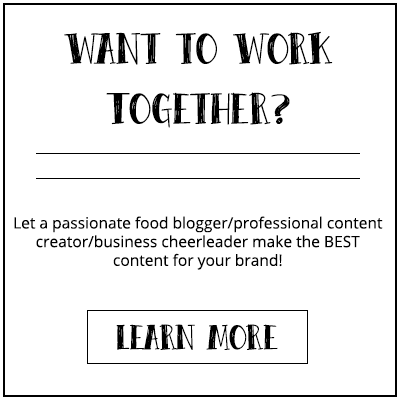 We fell in love with it the first time we made it, the second time, and all the times afterward we served it as an appetizer before a meal or just as an appetizer when entertaining at home. 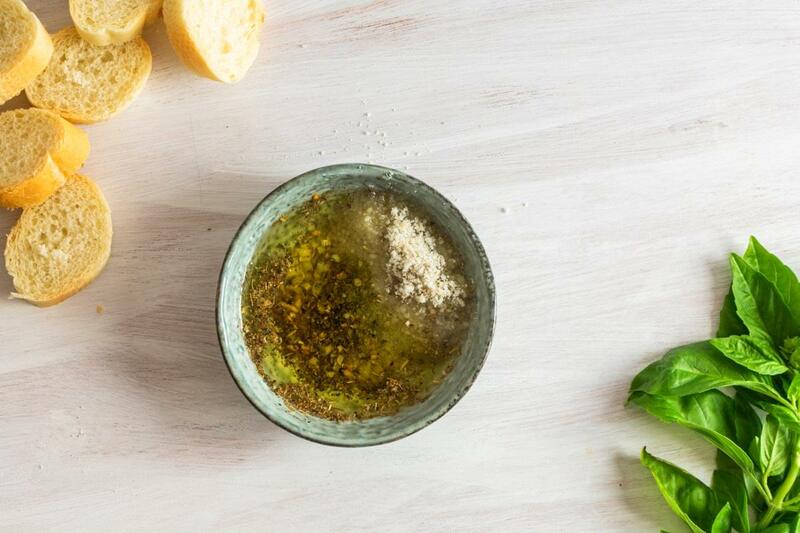 I’m sure that when you serve this parmesan & herb oil dip everyone will fall in love with it. Not too mention that is so incredibly easy to make and you still be serving something fancy. Isn’t that what we always aim for. 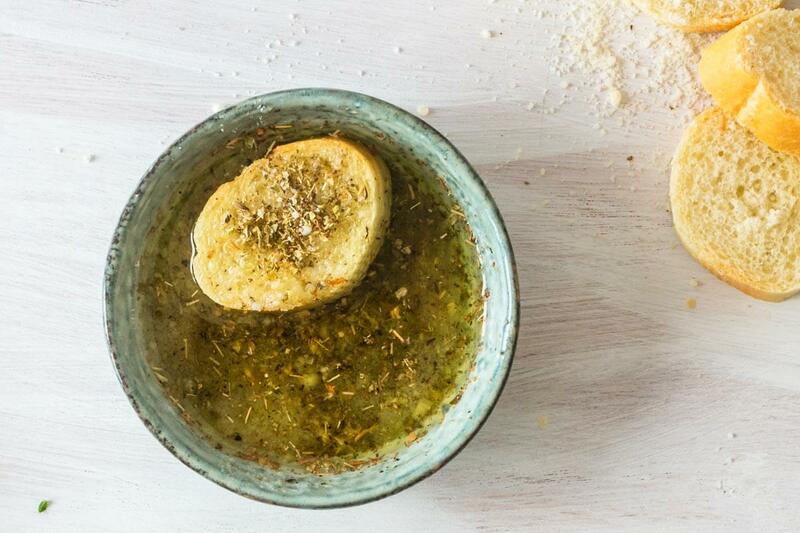 So here you go: the best parmesan & herb oil dip recipe. 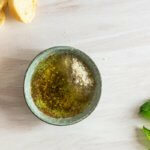 An easy, fancy and delicious parmesan & herb oil dip recipe made with Italian herbs, garlic, and parmesan. A great appetizer! Add the cup of olive oil and garlic into a pan. Turn the heat on low and let the oil heat for about 2 minutes. Do not let the garlic cook! Pour the garlic-oil in a small shallow bowl and let it rest for 5 minutes. Add the Italian seasoning, salt and pepper, and Parmesan.